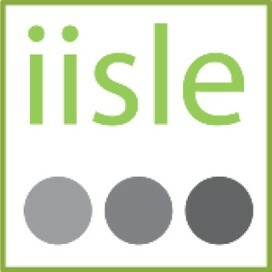 IISLE is using Smore newsletters to spread the word online. "Off to a Good Start" in your assignment! OTAGS - Choose Day 1, Day 2 or Both! facilitate individual and small groups of teachers’ understanding of the fundamentals of their curricula, critical resources, meaningful assessment, and approaches to planning. introduce the Ministerial Order on Student Learning (#001/2013) and its cross‐curricular competencies, as well as the District`s new assessment policy. provide time for individual and/or small group planning with EPS Curriculum and Resource consultant support. Additional time for individual and/or small group planning with EPS Curriculum and Resources consultant support. Whether you are new to a teaching assignment, or are an experienced with a curricula and would like to refresh your plans, this workshop will benefit you! This workshop supports teachers in understanding the fundamentals of their curricula, planning for instruction, identifying critical teaching and learning resources and planning for meaningful assessment—all focused on their own classes! Teachers could choose to work on planning for combined classes, their math program or more than one of their classes, either with other teachers or individually with consultant support. The OTAGS workshop provides time for individual or small-group planning with EPSB curriculum and resource consultants. Teachers are welcome to attend one day or both days, according to their needs.